2010 -- Okay, I am just wondering, are we going to say Two Thousand and Ten when we refer to the new year, or will we start saying Twenty Ten? Not that I am on a bandwagon to change the way we say it or anything. Like I said, I am just wondering. In the last decade, we said Nineteen. It was Eighteen the century before that. But now we are saying Two Thousand instead of Twenty. Go figure, but ever since 2000 rolled around, we've been saying Two Thousand, which makes it sound science fiction, like the movie, 2001: A Space Odyssey. But on the other hand, what about the song, 'In The Year 2525' (as in Twenty-Five Twenty-Five), by Zager and Evans? What is your opinion? Who cares, right? Okay, so see ya in Twenty Ten, or Two Thousand And Ten...sigh. When I think of new beginnings, I can't help but think about the Samuel Wood family. Samuel was the son of a woolcomber in Leicestershire England. His father wanted Samuel to follow in his footsteps, but he failed to complete his seven year apprentice when, in 1755 at the age of 18, he crossed the Atlantic in search of a new beginning. By the time the American Revolution began, Samuel was lame, and in poor health, and could not serve in the military, but he performed patriotic service for his new country by giving his pewter tableware to be melted and made into bullets. After the battle near Alexandria, he and his wife, Sarah, nursed the sick and wounded soldiers in their home. Samuel and Sarah’s first four sons, William, James, Samuel, and Thomas were born near the great falls of the Potomac River. William served in the State Militia in North Carolina, protecting the settlers against the warring Cherokee and Creek Indians. He was a brave man who quickly rose to the rank of Lieutenant. In 1800, William, his mother, and two younger brothers, John and George, journeyed through the Cumberland Gap to the sparsely settled Stockton's Valley, Kentucky, known today as Albany. Not long after arriving at Stockton's Valley, William was appointed Sheriff and Justice of the Peace. He later served in the Kentucky Legislature as both representative and senator. William was promoted to the rank of Captain during the War of 1812. He was reportedly present when Tecumseh was killed at the Battle of the Thames. When Thomas, the fourth son of Samuel, arrived at Stockton's Valley, he began helping William in his surveying business. but when news of the death of his father was received in 1800, Thomas returned to Tennessee to handle the affairs. There, he met, and married, his wife Mary. After the birth of their first child, the couple headed back to Stockton's Valley. 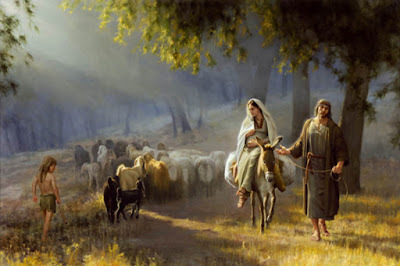 Mary often told her grandchildren of the trip through the Cumberland Gap, saying that she and their baby son rode on a sled made of poles and drawn by oxen, while Thomas walked, driving and often leading, the beasts over the rough trail. At Stockton's Valley, Thomas took an active part in Clear Fork, often filling in as clerk when William was in Frankfort serving in the State Legislature. Thomas was appointed deacon in July of 1811. History records that Thomas “loyally assisted General Andrew Jackson in the preparations for the battle of New Orleans in 1815, by helping to dig the saltpetre used for the manufacture of gun powder which make the old rifles of the Kentucky and Tennessee troops do such effective work." In 1834, Thomas traveled to Illinois to visit family members who had moved there. On his way back home, his boot rubbed a blister on his foot, resulting in blood poisoning that caused his death eight days after returning home. The Wood family welcomed their new beginnings. Samuel left his family in England and sailed to America, in search of freedom and a new start. Following the American Revolution, he found both. And then later, walking in their father's brave footsteps, Samuel's children left their homes and boldly moved west into the new frontier, where they helped start a new community and a new Church....the same community and the same Church where I am proud to live and raise my children. 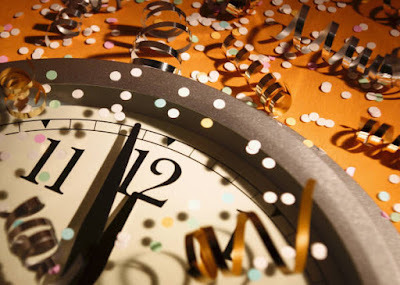 Auld Lang Syne basically means "days of long ago." The song asks the question should old times should be forgotten. After the sacrifices made by people such as the Wood family, I say not. Incidentally, the song, Auld Lang Syne, was included in Thomason's Select Songs of Scotland in 1799 -- the same year William Wood and his family began migrating west. I find that ironic. John Francis Wade was hounded out of England in 1745. He was a Roman Catholic layman in Lancashire and because of persecution arising from the Jacobite rebellion he and others fled to France and Portugal. But how would he support himself? In those days, the printing of musical scores was cumbersome, and copying them by hand was an art. So Wade, took a job teaching music in the famous Roman Catholic College and Ministry Center in Douay, France. He became renowned as a copyist of musical scores. His work was exquisite. In 1743, the 32-year-old Wade had produced a copy of a Latin Christmas carol beginning with the phrase Adeste Fidelis, Laeti triumphantes. At one time historians believed he had discovered an ancient hymn by an unknown author, but most scholars now believe Wade himself composed the lyrics. Seven original hand-copied manuscripts of this Latin hymn have been found, all of them bearing Wade's signature. Wade passed away on August 16, 1786, at the age of 75. As time passed, Catholics who had fled began returning to Britian and they carried Wade's carol with them. After mor time had passed, one day Rev. Frederick Oakeley came across Wade's Latin Christmas carol. 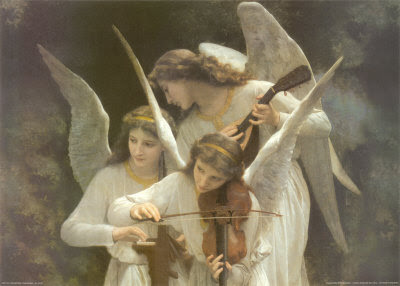 Being deeply moved, he translated it into English and O Come, All Ye Faithful was born - written and translated hundreds of years apart by two men, writing in two different nations to bid us come, joyful and triumphant, and adore Him born the King of angels. Phillip Brooks is considered one of America's greatest preachers. He was a native Bostonian and pastored with great power in the Episcopalian ministry in Philadelphia and in Boston. On December 24, 1865, while visiting the Holy Land, Phillips attended a five-hour Christmas Eve service at the Church of the Nativity in Bethlehem. He was deeply moved. "I remember standing in the old church in Bethlehem, close to the spot where Jesus was born, when the whole church was ringing hour after hour with splendid hymns of praise to God, how again and again it seemed as if I could hear voices I knew well, telling each other of the wonderful night of the Savior's birth." 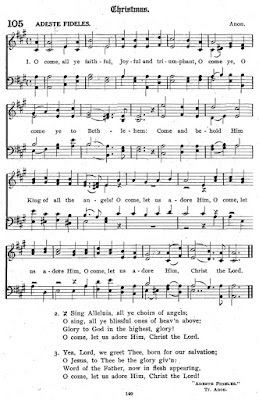 Three years later, as he prepared for the Christmas season of 1867, he wanted to compose an original Christmas hymn for the children to sing. 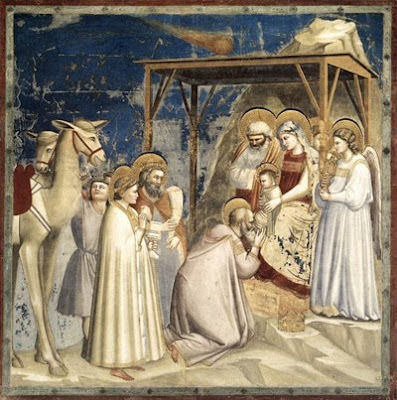 Recalling his magical night in Bethlehem, he wrote a little hymn of five stanzas and handed the words to his organist, Lewis Redner, saying "Lewis, why not write a new tune for my poem. If it is a good tune, I will name it 'St. Lewis' after you." 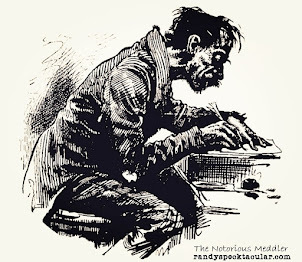 Lewis struggled with his assignment, complaining of no inspiration. But, on the night before the program, he awoke with the music ringing in his soul. The next day the children sang "St. Louis." Brooks changed the spelling so as not to embarrass his organist. Today, this Christmas hymn is known as, "O Little Town of Bethlehem." His father tried to discourage his musical interests, preferring that he enter the legal profession, but it was the organ, harpsichord and violin that captured the heart of young George Frederic Handel. Soon this remarkable child began composing operas and by his 20s, he was the talk of England and the best paid composer on earth. Londoners fought for seats at his every performance, and his fame soared around the world. But, all too soon the glory passed and audiences dwindled. His music became outdated. One project after another failed, and Handel, now bankrupt, grew depressed. The stress brought on a case of palsy that crippled some of his fingers. "Handel's great days are over," wrote Frederick the Great. "His inspiration is exhausted!" But Handels troubles matured him. His sharp tongue softened. His temper mellowed, and his music became more heartfelt. One morning, he received a manuscript from Charles Jennens. It was a word-for-word collection of various biblical texts about Christ. 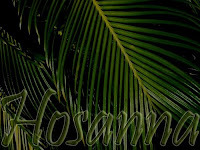 The opening words from Isaiah 40, "Comfort ye, comfort ye my people," moved Handel. On August 22, 1741, he shut the door of his London home and started composing music for the words. Twenty-three days later, the world had Messiah. "Whether I was in the body or out of the body when I wrote it, I know not," Handel later said, trying to describe the experience. Messiah opened in London on March 23, 1743 with Handel leading from his harpsichord. 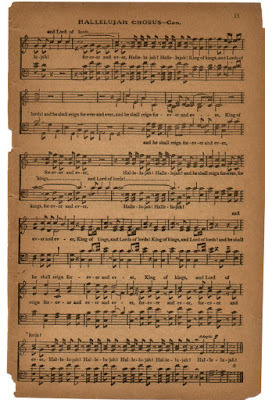 King George II, who was present on opening night, surprised the crowd by leaping to his feet during the Hallelujah Chorus. No one knew why and regardless of why, to this day when the chorus is performed audiences have stood in reverence to the stirring words: Hallelujah! For He shall reign forever and ever. 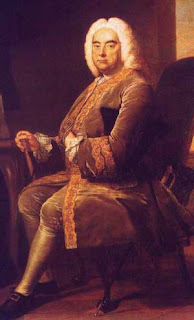 Handel's fame was rekindled and for the next several years he continued performing his oratios. He died on April 14, 1759. *Taken from Then Sings My Soul - 150 of the World's Greatest Hymn Stories by Robert J. Morgan. This time of year it is so easy to let our minds wander back to Chrismases of days gone by - those special moments shared with family and friends which fill our hearts with joy and gladness. It's one of the things I love about Christmas. I was thinking about some of those 'precious memories' today,' when that great hymnal popped into my head. I love this song, but after reading the story of how it came to be written, I realized that, for its writer, it was bittersweet. One crisp, autumn night in 1923, at his home near Hamlin, Texas, the thoughts of a gentle, unassuming farmhand turned to the days of his youth - days before the family circle was broken. Days when cares of the world were unknown. John Braselton Fillmore Wright was not yet an old man, but several events had occurred which caused him to reflect back upon happier days. Wright’s earliest memories were of his father and mother singing together the songs of their youth. It was this early environment which inspired him to write more than 500 songs. He falls into a category with a fortunate few who spend a lifetime writing songs, and for some unexplainable reason, comes up with THE SONG which eclipses all the others, and lifts one to an imperishable place in the hearts of the people. This happened to John Braselton Fillmore Wright when he wrote Precious Memories. In 1909, word came to John Wright that his mother had “gone home to glory.” Five years later his father died. The now middle-aged song-writer recounted that the loss of his parents had a “tremendous effect on my life.” But it was on the still, autumn night of October 23, 1923, while he lived in Hamlin, Texas, that scenes of the home he had left 20 years before unfolded in his mind, and he was inspired to write his famous song. We often talk about one’s education and what academic level of higher learning we have achieved. There is no doubt that formal education is essential in today’s world. However, some good, sacred memory preserved from childhood is perhaps the best education one could obtain. There is nothing higher, nothing stronger, nothing more wholesome, and nothing better for life in the future than some good memory, especially a memory of childhood, of church, or of home. One of the most critical factors in making right decisions is precious memories. If over 86% of Americans are said to believe in Jesus, why are we eliminating Him from our holidays? I hate having to be 'politically correct' for the minority. The majority has rights too, but are we getting anywhere by protesting? If we spent half as much time evangelizing as we did trying to legislate morality, we'd see a lot more results. If it bothers you that your town doesn't allow a scene depicting Christ's birth, put a Nativity scene on your own front lawn. If we all did that, there wouldn't be any need for one on the town square. They would be EVERYWHERE! Some people may be calling it a 'holiday tree,' but remember, Christ made ALL trees. Instead of writing letters objecting to the way Christ's birthday is celebrated, write letters of love and hope to soldiers away from home. They REALLY need them. Visit someone in a nursing home, even if you do not know them. They just need to know that someone cares about them. Instead of writing the President complaining about the wording on the cards his staff sent out, write and tell him that you'll be praying for him and his family. 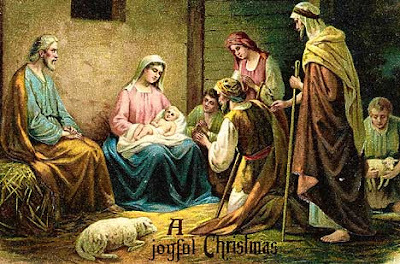 Instead of giving your children gifts you can't afford and they don't need, tell them the story of Christ's birth, and why He came here. Remind them that Jesus loves them. Did you know that someone in your town will attempt to take their own life this season because they feel so alone and hopeless? Since you don't know who that person is, try giving everyone you meet a warm smile; it could make the difference. When you are out shopping, even if the store clerk isn't allowed to wish you a 'Merry Christmas,' that doesn't keep you from wishing them one. If you really want to make a difference, support a missionary. Just like the song says, let others know you are a Christian by your love. 'Lead with Love,' is what I always say. Lastly, believe it or not, there are people, even whole families, in your town, and yes even here in my town, who will have no presents to give or receive this Christmas. That is one of the reasons why I started the Christmas at Home project a few years ago. I hope you will support it again this year as many of you have in the past. Even if you don't know them, show them God's love for them by buying them some food and even a new toy for the little ones. Artist Fred Thrasher was commissioned by the local Project Graduation group to do a print as a fund raiser. He chose the place where I grew up. 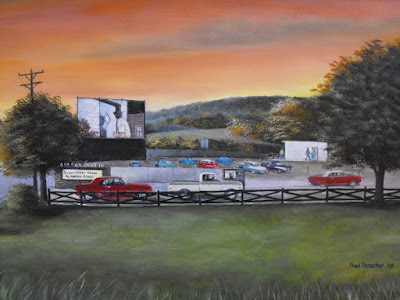 Albany Drive-In Theater was owned by my grandfather and uncle. Thank you Fred, you have made my family very proud. "All aboard!" shouts the conductor. "Wooo, Wooo, Ding, Ding, Ding, Ding, Wooo, Wooo!" says the train. The conductor says, "The Elite Express is now departing. If you want to climb aboard, come on!" "Drinklifein, drinklifein, drinklifein, drinklifein, chug, chug, chug, Wooo, Wooo, Ding, Ding, Ding, Ding, Wooo, Wooo!" Suddenly, Elite Express is racing off toward its destination -- to the TOP! There are no scheduled stops for Elite Express, so climb aboard now for this fast-moving train bound for SUCCESS!! Oh, by the way, have you met the conductor? Well, you should have already because the conductor is YOU! Yes, that's right! You are most qualified to be the conductor of Elite Express because in order to be a conductor, one must be interested in others, and obviously you are or you would not be aboard this train. The conductor works closely with everyone who climbs aboard his or her train, and he or she is in the right place to make a lasting, positive impression. So, are you ready? Well, come on then! And, the conductor says, "The Elite Express is now departing. If you want to climb aboard, come on!" 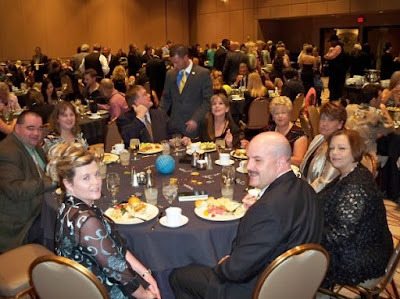 The Elite Express is bound for success in health and wealth. It's not the little train that could. It's the BIG train that WILL! We are the elite team inside of Zija International. For more information, visit www.teamelite.ws. A couple of days before the Thanksgiving holiday arrived, I received an e-mail from the folks who keep up with the number of blog visits to my page, telling me that this blog has reached the level of 7,800 visits since Valentine's Day. That is an average of 195 visits per week. I am humbled and just wanted to say a big THANK YOU! I love writing short stories. Thank you for stopping by and visiting from time to time. "Before they were soldiers, they were family. Before they were legends, they were heros. Before there was a nation, there was a fight for freedom." I really have a lot to be thankful for. Consider my ancestor, Jacob Speck. Jacob was my 6th great-grandfather. His family overcame a lot just to get to America, where they could enjoy freedom. He played an ultimate role in why am able to enjoy freedom in America in 2009. Things had turned to the good for Jacob here in the 'land of opportunity.' He had a beautiful young family, including three young children, and no doubt so many hopes and dreams. No doubt, he was thankful for how God was blessing him here in America. His heart had to be overflowing with joy! Soon after his birth around 1754, Jacob's family came to America aboard the Friendship vessel and lived in Philadelphia. When he was 21-years-old, Jacob married Christine Keefer. Soon after the birth of their second son, Jacob and Christina moved to North Carolina, where they settled at Stokes County, near present-day Danbury. During the American Revolutionary War, almost every able-bodied man, who was not a part of the Continental Army, joined their local Militia to help protect the settlement in which they lived. At times, these militia troops were also called upon to fight in battles of the revolution. Thus was the case for Jacob Speck. On July 21, 1780, General Horatio Gates was at Camden, South Carolina commanding a force of 3,200 troops. He was joined by the North Carolina Militia, which included Jacob Speck. The British general, Lord Charles Cornwalis, was also at Camden with an army of 2,100. Even though Gates had Cornwalis outnumbered, most of the Americans lacked experience and training. The North Carlina Militia had never been tried. Plus, Gates' army was running out of supplies and many of the troops were not well-rested or fed. Gates was advised NOT to go into battle under the circumstances. But, he ignored the warning. Just before dawn on August 16th, Gates and Cornwalis found themselves facing each other across a field. 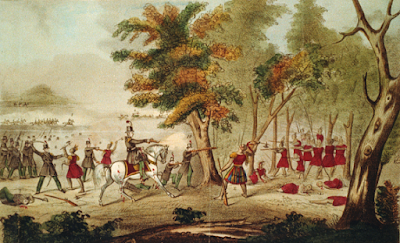 The British troops opened the battle as the right flank fired volley's into the militia regiments, causing a significant number of casualties. When the remaining militia looked up, they saw British troops advancing toward them with their bayonets drawn. This tactic had never been used before. The shock of seeing that, added with the fact that the militia realized they did not have bayonets, caused panic to spread quickly and the militia fled before the British regiments reached them. Within a matter of minutes, the whole rebel left wing had evaporated. What must have been on Jacob's mind that morning as he stood in that field? No doubt he was thinking about Catherine. She was only 16-years-old when they married just five years earlier. Jacob Jr. was now four. Michael had just turned two, and a third son, George, my 6th great-grandfather, was less than two months old. What must have been on Catherine's mind as she watched her husband leave home to defend their new settlement? It is even harder to imagine what she must have felt afterward. For you see...Jacob did not have a chance to run as did most of his fellow soldiers. In that predawn hour on that warm August 16, 1780 morning, when the smoke and dust from the cannon volley's had finally cleared, Jacob lay dead on the battlefield. Jacob Speck's story is a sad one, but it reminds me that God never closes one door but that He doesn't open another one, and He always knows what He is doing. Before his death, God allowed Jacob to plant the seed that eventually brought ME into this world. Then, He blessed Jacob by allowing him to see his new son George, my descendant, before he left this world. Surely, before he left home to do battle, Jacob must have looked at his newborn son and thought about George's future...a future that includes me. God is good and this Thanksgiving Day, I really do have a lot to be thankful for. The Battle of Camden, South Carolina was depicted in the 2000 movie, The Patriot. The site of the battle is 1.4 miles from Exit 98/I-20 on U.S. Highway 521 North heading towards Camden. 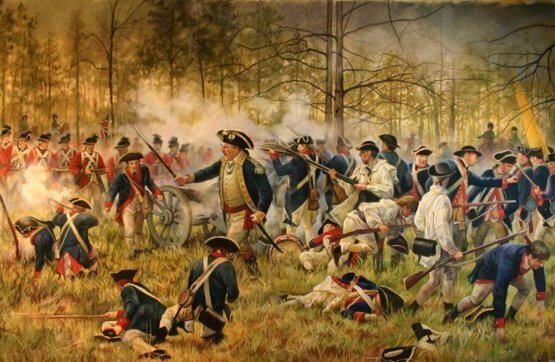 The Battle of Camden, South Carolina. You can read more about Jacob Speck by clicking here. I remember as a child the wonderful gatherings that took place at the home of my grandparents, when all of my relatives would gather in for a wonderful time of fellowship and feasting. I miss those days a lot and I wish I had them back. The men folk would gather in the living room and the kids would be playing around. The women would all be gathered in the kitchen helping to prepare the meal, and, oh the aroma of the turkey sitting on the table ready to be eaten! The green beans and corn cooking on the stove. The pumpkin pie cooling off on the dessert table. The sweet smell of homemade bread coming from the oven. I remember the great anticipation that would sweep over me as I waited for someone to say, COME AND GET IT! I can vividly recall the joy, the laughter and all of the million other precious moments that was always present inside that home at 601 Hopkins Street. Now, I realize just how precious those times were. I have always had a really nice, beautiful, loving, everlasting obsession with DUMPLINGS! Legend has it when I was 2-years-old, there was a huge feast at the radio station. While waiting for everyone to arrive, I went AWOL. They found me in Studio B, where a long table sat holding this tremendous feast. I was sitting there, all alone, in front of a big bowl of DUMPLINGS! with a spoon in one hand and a fork in the other. Allegedly, I repeated that same ritual at many other family gatherings, and I am often reminded of those early days as a child when my one and only purpose for showing up at Thanksgiving and Christmas dinners was for the DUMPLINGS! Ah, who am I kidding....I'm still that way. I still can be found at the table, before anyone else sits down, with a spoon in one hand and a fork in another. Okay, maybe not really, but what a nice thought! Just typing this makes me crave them. The only difference is now I know how important the fellowship is at those gatherings. The Thanksgiving Day tradition that I remember growing up ended when my grandparents passed away. Whenever I pass by the old homeplace, it always causes me to reflect back on those family gatherings. I would love to be able to go back there just one more time to see their faces, to laugh with them once again and to hug them all. 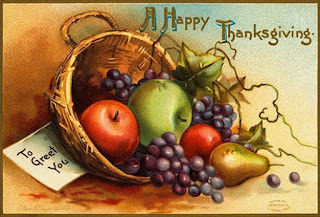 I come from a Christian family, and someone always gave thanks before every meal, and on Thanksgiving Day, we gave thanks to the good Lord for all that he had given us. We always knew what Thanksgiving was about. "…our duty as a people, with devout reverence and affectionate gratitude to acknowledge our many and great obligations to Almighty God, and to implore Him to continue and confirm the blessings we experienced…"
I am thankful that I am a Christian and that, only by God's grace, I am an American. I am thankful for my Church and my Pastor and for my beautiful children and unconditional love. I am thankful for parents who made sure I was in Church every time the doors were open, and that I had a roof over my head and food (DUMPLINGS!) to eat. I am thankful for a military that protects me, my rights and my freedom. I suffered heart failure a few years ago and praise God, I beat it. So, I am thankful to God for allowing me to enjoy my children a little longer. 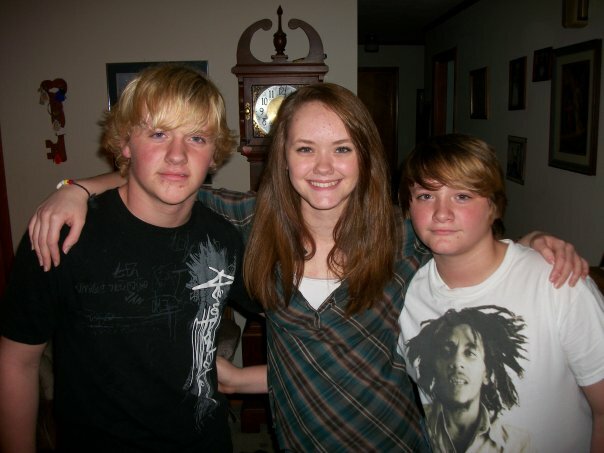 I am thankful to God for watching over my children when the are away from me. And, lastly, I am thankful for you, my readers, for encouragement which allows me to continue to do what I love to do - write stories. Thank YOU! "Thine, O LORD is the greatness, and the power, and the glory, and the victory, and the majesty: for all that is in the heaven and in the earth is thine; thine is the kingdom, O LORD, and thou art exalted as head above all. 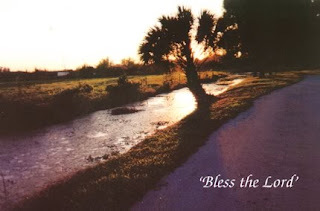 ...And David said to all the congregation, Now bless the LORD your God. And all the congregation blessed the LORD God of their fathers, and bowed down their heads, and worshipped the LORD, and the king." And, there you have it, my new composition. Hope you liked it! People Magazine announced Wednesday that actor Johnny Depp is the sexiest man on the planet. According to the magazine, the 46-year-old Depp headed a list of 15, catching People's attention not so much for his swashbuckling antics in the "Pirates of the Caribbean" movies, or his freakish charm in "Edward Scissorhands," but his softer side as a family man. "The star has had women swooning since his days as a teen detective on 21 Jump Street, yet it's his devotion to his family that really makes the actor so endearing," People gushed. 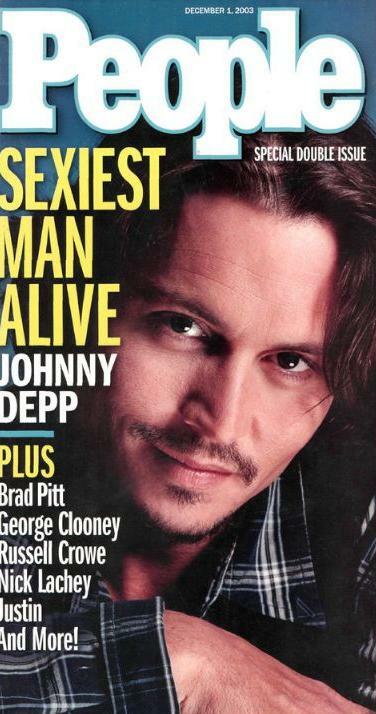 Depp also won the magazine's "Sexiest" honor in 2003. Depp's companion is French singer Vanessa Paradis and he is the father of Lily-Rose,10, and Jack, seven. Speaking of family, did you know that Johnny Depp's 4th great-grandfather was Isaac Tipton Reneau, the legendary preacher of the 1800's, who is buried at Irwin Cemetery here? And, did you know that Isaac Tipton's great-granddaughter is Betty Reneau, Johnny Depp's 5th cousin? And, did you know that Isaac Tipton's daughter-in-law was Eleanor Means, Johnny Depp's great-great-great-aunt, whose nephew, William Ezra Means, was my great-grandfather? "Say it ain't so," you say? Maribu left here and moved to Eighty Eight to live with her husband, John B. Depp. Their son, Oren, migrated to Owensboro, where John Christopher Depp (Johnny Depp) was born many years later. 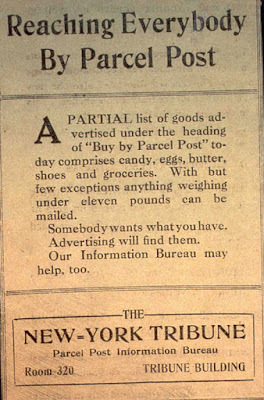 The above poem has wrongly been attributed to Ralph Waldo Emerson, however, according to the Nov. 30, 1905 edition of the Lincoln Sentinel, it was written by Bessie A. Stanley at the earnest solicitation of Mr. Stanley in response to a contest on what constitutes success carried on by the George Livingston Richards Company of Boston, Massachusetts. The essay was entered in competition with hundreds of others from all parts of the country. When Mrs. Stanley was notified that she had won the first prize of $250 she did not credit the good news and, laughing, told Mr. Stanley he could have half. According to Confederate General Felix Zollicoffer, around September 23, 1861, a Federal force of about 400 men, which had made prisoners of Confederate soldiers and citizens sympathizing with the cause of secession, at or near Albany, was about this time routed by a detachment of Confederate troops under Captain Bledsoe and about 60 muskets were captured. Less than a week later, the Confederates left Albany and camped about 20 miles away, taking much private and public property, incuding more than 30 home-guard muskets and 3,000 rounds of cartridges. In the presence of a foe outnumbering them ten to one, the Russell home-guards occupied the place, replanting and standing by the colors and defiantly inviting an attack. About 300 Federals, of the 12th Ky. infantry under Col. Haskins, arrived on the 28th and were soon reinforced by 500 to 600 cavalry and home-guards. On the 29th, Haskins ordered Capt. Morrison to attack a new Confederate camp at Travisville, 13 miles distant. About 100 troops were surprised there, 2 were killed, 2 taken prisoners and the others escaped. Maj. Brents, with 45 men, was sent to reinforce Morrison, but arrived too late to participate in the attack. 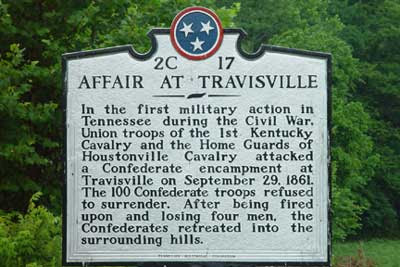 The "Affair at Travisville," as it has become known, was the first military combat incident of the Civil War in Tennessee. It happened not far from where I live. Report of Col. William A. Hoskins, Twelfth Kentucky Infantry. Camp at Albany, September 29, 1861. This morning I received information that the Confederate forces were forming another encampment at Travisville, distant from us 13 miles. Accordingly I ordered Capt. Morrison to take the effective force under his command and proceed to that point, and after reconnoitering sufficiently to satisfy himself that the number was not too great to justify an attack, to take them by surprise, order a surrender, which, should they refuse, to fire upon them. In obedience to my orders he proceeded to that point as directed. In about two hours after Capt. Morrison left camp Lieut. Adams joined us, as also the Home Guards of Hustonville Cavalry. I ordered a detail of 15 men from the company under command of Lieut. Adams and 30 from the Hustonville Home Guards, which were placed under command of Maj. Brunets, and he ordered to proceed to Travisville, to support Capt. Morrison in the event he was repulsed; but before reaching that point Capt. Morrison had surprised the camp, finding about 100 troops, which, being ordered to surrender, fled, when they were fired upon and 4 killed, the balance effecting their escape by fleeing to the hills. They also took 4prisoners, 2 of whom, as also 2 horses, were captured by Thomas Huddleston, a private in Capt. Morrison's company; after accomplishing which, to use his own expression, "He looked for more, but they had all fled." Among the officers with Capt. Morrison were Lieut. Miller, Sergeants Hay, Carr, Chilton, Smith, and Howard. The prisoners were brought this side the line, when, after taking a solemn obligation to prove faithful to the United States Government, they were released. But for our timely arrival the Confederate troops, I have no doubt, would now have been in possession of this place, as they were to move in this direction on yesterday. I learn that the Confederate troops are rallying again at Travisville, with the intention of attacking us. From the best information, they cannot muster a force exceeding 1,150. Last night at 9 o'clock our picket guards were fired upon by a party of seven persons within 3 miles of the camp; they returned the fire, with what effect I have not ascertained. None of ours were injured that I know of, though one of the picket has not yet come up. I have ordered a detachment of fifty cavalry to scout the whole country in the neighborhood of the beat at which the pickets were stationed, as also that in which the absent picket was stationed. I learn that they have also a body of cavalry stationed at Travisville, numbering 1,200, which of course will join their main force at Albany, making in the aggregate 4,400. I have no fears from an attack should it come from the direction of the main road leading from Monticello, but apprehend that they may attempt to flank us by crossing lower down the river. Geo. H. Thomas, Brig.-Gen., U. S. Volunteers, Commanding. A sesquicentennial commemoration of the Affair at Travisville is planned for September 2011. With Veterans Day still fresh on everyone's mind, I thought I would re-publish one of the very first stories I wrote. It was told me to by my Great aunt Mada Allen, and verified by my grandfather, Elmer Boles. The story is about them. I added a photo, newly revealed to me, at the end. Randy. As everyone knows, the atomic bombings of Hiroshima and Nagasaki were nuclear attacks during World War II against the Empire of Japan by the United States of America under U.S. President Harry S. Truman. After six months of intense firebombing of 67 other Japanese cities, the nuclear weapon "Little Boy" was dropped on the city of Hiroshima on August 6, 1945, followed on August 9, 1945 by the detonation of the "Fat Man" nuclear bomb over Nagasaki. As many as 140,000 people in Hiroshima and 80,000 in Nagasaki may have died from the bombings by the end of 1945. Over the years, thousands more have died from injuries or illness attributed to exposure to radiation. The Manhattan Project involved many of the world's great physicists in the scientific and development aspects, spread out over 30 secret sites in the U.S. and Canada. One secret site, a gaseous diffusion plant for the seperation of Uranium, code named K-25 for secrecy, was erected at Oak Ridge, Tennessee. A thermal diffusion plant was added at Oak Ridge in 1944. No one was allowed to know what was being built, including the workers. All they knew was that it had to be done fast. Not even the 45,000 construction workers knew what the facility was for. Companies, such as Chrysler, Union Carbide and Dupont, who risked their own money and reputations to assist the military in ending the war, were not told anything about the building of a bomb. Yet, they still agreed to help. Precautions were taken not to hire anyone who lived in the Oak Ridge area. Secrecy was of the highest priority. I was sitting beside my Great-Aunt Mada at her kitchen table one day, and we were looking out the window and watching a whipper wheel that was perched upside down on a feeder, which had purposely been placed by there so that she could sit at her table and watch her birds. She loved doing that, and, on each visit, I loved to sit there with her and listen to her talk. I learned a lot from my Aunt Mada. Somehow our conversations always ended up being about friends and family. And, because I have such a passion for family history, I would cling to her every word. Such was the case on this particular day, as we sat watching that upside down whipper wheel, that she told me the story of how she made the bomb. My grandfather, Elmer Boles was aboard the U.S.S. Samuel D. Champlain during the Normandy Invasion. When the ship returned home, most of the crew was dropped off on the east coast for a brief leave, while the ship continued on through the Panama Canal to the west coast. Elmer boarded a troop train that went from New York to Oakland, California, where he boarded a ship and set sail for the south Pacific and the Phillipines. President Truman encouraged the country to unite in the war effort, and asked each citizen to do their part. Since my grandmother, Vada, was busy at home raising her children, Aunt Mada decided she would do what she could to assist the troops, and her brother, Elmer. She and her two closest friends, Nola and Opal Talbott, had heard of a new government plant opening outside of Knoxville. Although they did not have a clue what they would be doing, they headed south.....to Oak Ridge. Again, no one, not even the plant bosses, not even the financial backers, knew what the product that was being made at Oak Ridge was for. 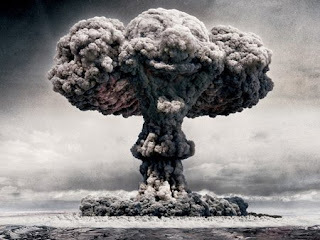 But, on August 8, 1945, two days after the bomb was dropped on Hiroshima, Aunt Mada found out. She told me that on this particular day, when it came time for her supper break, she did the usual thing....head for the cafeteria. As she sat down at a table, she said she could not help but notice the headline on the front page of the newspaper a co-worker was reading at the table next to hers: "PARTS OF THE BOMB MADE AT OAK RIDGE!" "It was normal for shipmates to read each others mail because they were so far from home and homesick. Mada's letter began making its way around the ship, and it wasn't long until word began to spread, and soon everyone on the ship was saying that BOLES' SISTER MADE THE BOMB!" Elmer Boles, seated, aboard the U.S.S. Samuel D. Champlain. It was the fall of the year when the call for volunteers went out at the outbreak of the War of 1812. There was no question that residents of Stocktons Valley, later known as Albany, would be first in line. They were, after all, veterans, or sons of veterans, who had fought the British in the American Revolution, and would eagerly take up arms to defend their country...once again. In the latter part of July, Kentucky Governor Isaac Shelby issued a proclamation calling for 2,000 mounted riflemen to meet him at Newport within thirty days. The soldiers would march to Lake Erie to assist General William H. Harrison in a fight with British troops and their Indian allies, including the great Shawnee Chief, Tecumseh. On August 31st, Company 53, led by William Wood of Stocktons Valley, reached Newport, and the company's 47 men, including 36 rank and file, 11 commissioned officers and nine rifles, prepared for battle. As we celebrate Veterans Day 2009, remember the many who fought - those who returned, and those who did not. God Bless America and God Bless our Veterans! * This story was originally written in July of 2008 by The Notorious Meddler as Soldiers of Stocktons Valley. Remember when Clackers was the rage? Maybe you don't, but I sure do. Clackers was the ultimate skill game during the late 1960s and early 1970s. By March 1971, 42 million clackers had been manufactured in the United States, making them the first fad of the 1970s. Well, it didn't last long for a reason. Clackers was two large marbles attached by a sturdy string with a ring in the center. You would put your finger in the ring allowing the marbles or to hang below. Then the fun would begin. The idea was to get the two balls "clacking" against each other by pulling up on the ring lightly. Once you got the hang of it, you could get them going faster and faster until they were smacking each other above and below your hand in a stunning arc. Then, the problems began. While kids loved them, teachers and doctors....and parents weren't so impressed. Clackers started finding their way into the schoolyards and it did not take long before they were yanked from shelves because kids were suffering eye injuries, and well...there was also something about the velocity of the balls if the cord broke. In February 1971, the Food and Drug Administration warned against Clackers, and so, following a nationwide outbreak of badly bruised arms and bloodshot eyes, Clackers' popularity hit rock bottom and they were BANNED! However, before Clackers were pulled from the shelves, guess who bought a set? The date was February 2, 1971. I was 11-years-old and I bought Clackers at McWhorter's Variety Store. Wow! Clackers was just the most popular fad in America and I had red ones! I was in heaven. You are probably wondering, how I remember the exact date? I thought you'd never ask. 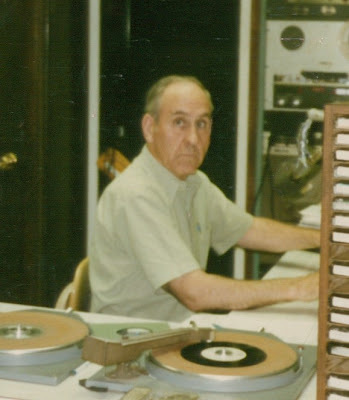 You see, the Bulldogs were playing basketball at Tompkinsville that night, and I rode to the game with my dad and Sid Scott, who were going to be broadcasting the game over the radio. Now, you have to understand I was really excited. The minute I walked out of the store, I tore open the package and began 'clacking.' Clack, clack, clack, clack, clack, clack, clack. I couldn't stop. It was like a kid at Christmastime. Wait, I WAS a kid, only it was February. But, the fun ended almost as quickly as it began. We had only gone a few short miles, when my dad told me to stop 'clacking.' Sid said I was going to put my eye out. Now, I did not believe him, but I did as I was told, and stuffed my Clackers into my right front pants pocket for the rest of the trip to Tompkinsville. The first thing I did when I walked inside the gymnasium was to get out my Clackers and start 'clacking' again. Clack, clack, clack, clack, clack, clack, clack. But, sigh, once again, my dad told me to put them up because I could "hurt someone." Can you believe that? So...back into my right front pants pocket my Clackers went! Clinton County versus Tompkinsville was and still is a bitter rivalry. Even today, long after Tompkinsville and Gamaliel consolidated to form Monroe County High School, when the two teams play it is war! That night, back on February 2, 1971, was no different, only that particular evening the war was centered around two players, the Bulldogs' Randy Brown and Tompkinsville's Louis Oglethorp. Randy Brown was one of my idols. He was cool on the court. He walked cool. He shot the ball cool. He looked cool. As a matter of fact, everything he did, I thought, was cool. That is why on that night, when I was 11-years-old, I never took my eye of him and his one-on-one battle with Louis Oglethorp. Brown gave back as much as Oglethorp dished out. It had the making of a classic battle, and for me, memorable. During the game, I overheard some ladies behind me talking about the new fad - Clackers! At halftime, I thought I would impress them by showing them MY clackers. I was so proud! I reached into my right front pants pocket to pull them out, but when I did, the cord came loose from one of the marbles. OH NO! I felt like Ralphie on the Christmas Story movie! I was d-e-v-a-s-t-a-t-e-d! My NEW toy was broken. How could this happen to me? I just knew that people were going to laugh at me. Oh, the shame of having the most latest fad in America and it was broken. It was almost too much for a boy of 11 to bear. I was as heartbroken as one can be heartbroken, but suddenly, somehow, somewhere, I came up with a plan. I was going to fix my Clackers! I was not going to throw the hottest thing in America into a trash can, especially at Tompkinsville! I attempted to thread the cord into the hole in the marble, but it was difficult, because the cord was limp, and because the hole was really small. With pure grit and determination, I wet the end of the cord with my lips....but no luck. The second half of the game had begun. Randy Brown and Louis Oglethorp continued to wage war with each other. It was very heated. Tompkinsville was beating us badly on the scoreboard, but the score did not matter. The battle between my idol, Randy Brown and his arch nemisis, Louis Oglethorp, far outweighed any score. So, there I sat on the bleacher watching the war and trying to fix my Clackers! 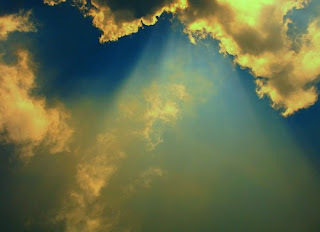 And, that's when a miracle occured. I put that string through that marble! I FIXED MY CLACKERS! There IS a God I thought! I was so happy, that I forgout about my dad telling me not to play with my Clackers inside the gymnasium. So, as the clock wound down, there I sat, grinning from ear to ear, beaming with all the pride an 11-year-old boy could muster up -- and clacking! Clack, clack, clack, clack, clack, clack, clack. As the clock wound down the final seconds of the game, Randy Brown was standing at the Tompkinsville free throw line. Oglethorp was behind him. I was clacking. Clack, clack, clack, clack, clack, clack, clack. Just as the clock went 3--2--1, I know he wasn't, but it appeared that Randy Brown looked right at me, and suddenly he became a human clacker! Standing with one foot flat on the floor, he lifted his other leg and nailed Louis Oglethorp just under his chin with a very powerful kung-fu kick. BAM! Oglethorp hit the floor and just as he did, Brown and the rest of the Bulldog's players ran for the locker room as fast as they could go. It was total chaos as fans on both sides of the gymnasium ran onto the court, before police, school officials and others were able to restore order. So, that is how I remember the day I bought my red Clackers. When Clackers were pulled from the shelves, mine went into the trash can and that was the end of that. My clacking days were over. Oh well, it was fun while it lasted, I guess. Clack, clack, clack, clack, clack, clack, clack. The word on the street is that I will be turning 50 this Thursday. I haven't thought much about it. To me it is another day. I have always said, "If you did not know how old you are, how old would you be?" To be honest most days I feel a lot younger than 50, but there are those OTHER days, too. Last week I flew to Las Vegas. It was the first time I had ever ridden in an airplane. I haven't smoked in going on seven years. 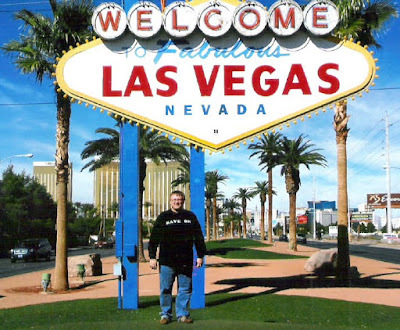 I am down 17 pounds in one month, thanks to Zija. I beat heart failure and I have 3 beautiful children, and I am the full-time dad I always wanted to be. If you know me, then you know how that is to me, but that is another story, which I will one day write. So what is so bad about turning 50? A friend reminded me this morning that I have been blessed to have reached such a milestone. I am still committed to providing my children with the best way of life I can give them. 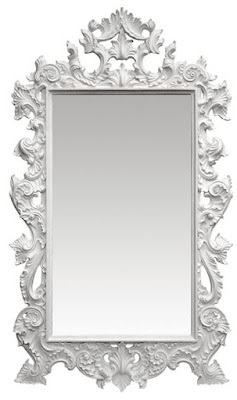 When I have reached that goal, I will have reached the milestone I want to reach. That is my drive, my desire. I have already been treated to one pre-birthday meal, which included my all-time favorite food, dumplings. 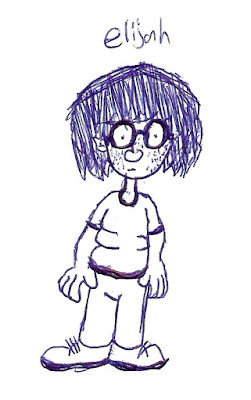 Later this week, my friend Kelly is going to treat me to Pizza. At the beginning of this year, when we were planning our 2009 Church calendar, she jovially announced that I would be turning 50 this year. I was just thrilled that someone is keeping up with me. I wrote the Pizza outing down on Post-It note so I wouldn't forget it. It's a turning-50 thing. That reminds me of a joke. Two elderly women were out driving in a large car, and neither could barely see over the dashboard. As they were cruising along, they came to an intersection. The stoplight was red, but they just went on through. The woman in the passenger seat thought to herself, "I must be losing it, I could have sworn we just went through a red light." After a few more minutes they came to another intersection, the light was red, and again they went right through. This time, the passenger was almost sure that the light had been red, but was also concerned that she might be seeing things. She was getting nervous and decided to pay very close attention. At the next intersection, sure enough, the light was definitely red and they went right through it. She turned to the other woman and said, "Mildred! Did you know that you ran through three red lights in a row? You could have killed us! Mildred turned to her and said, "Oh No! Am I driving?"